Topic: [Schedule Window] The graphical error is still there. Re: [Schedule Window] The graphical error is still there. Looks like incorrect clipping logic. 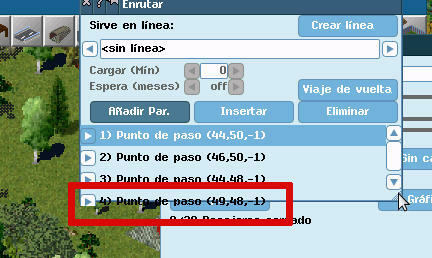 The window or list extents for clipping are slightly larger than the actual window size at the bottom of the window. That is obvious. The question is, where does something goes wrong. I could not reproduce this either. All the list draw routines use clipped drawing routines, clip rectangles are also correct. It only happens with the "touch" versions of pak96.comic UI and the new UI based on the forum that is on the screenshot. The problem is that this window assumes that each list item has height LINESPACE. But if we are to continue working on Dwachs' UI patch, that I really hope we will, that will eventually go away as component heights are returned instead of hard-coded values. The problem is that display_text_proportional_len_clip_rgb does *no* clipping of text, only if parameter DT_CLIP is provided.